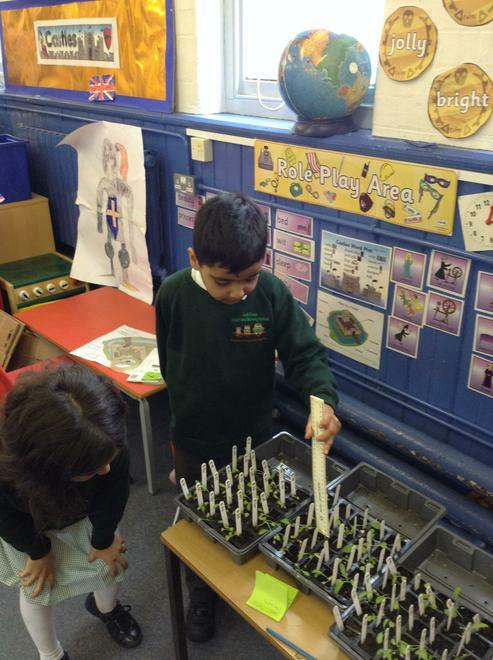 Look out for Hall Green Infant School's budding Space Scientists! The children in 1CT and 2ST will become rocket scientists this half term. 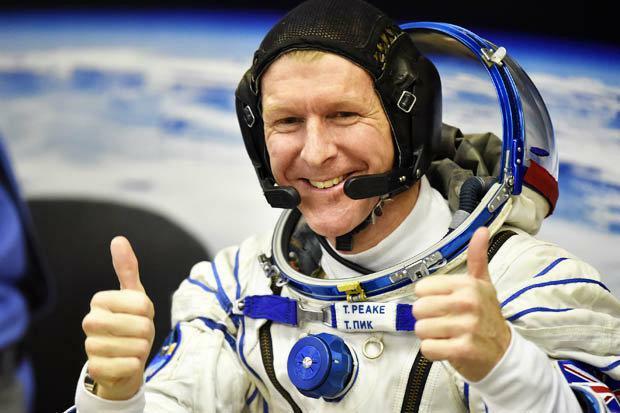 who is currently on board the International Space Station. 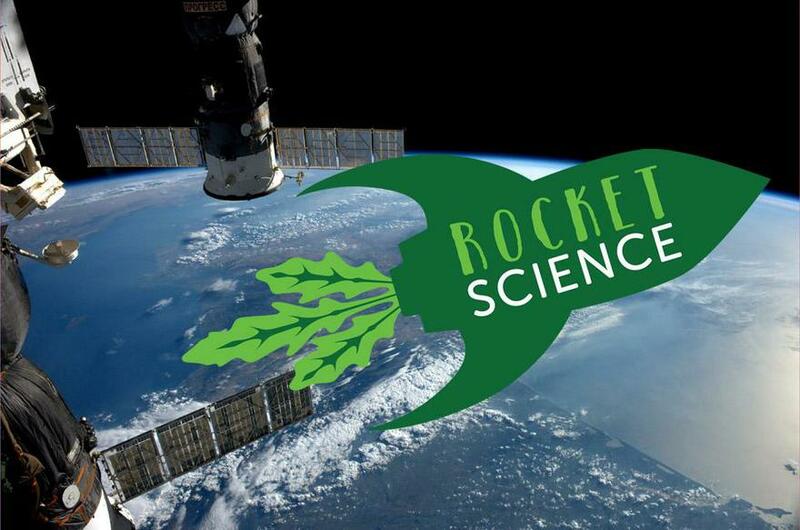 On 2nd September 2015, two kilograms of rocket seed travelled to the International Space Station where Tim Peake stored them in microgravity. They were then returned to Earth only a few weeks ago. 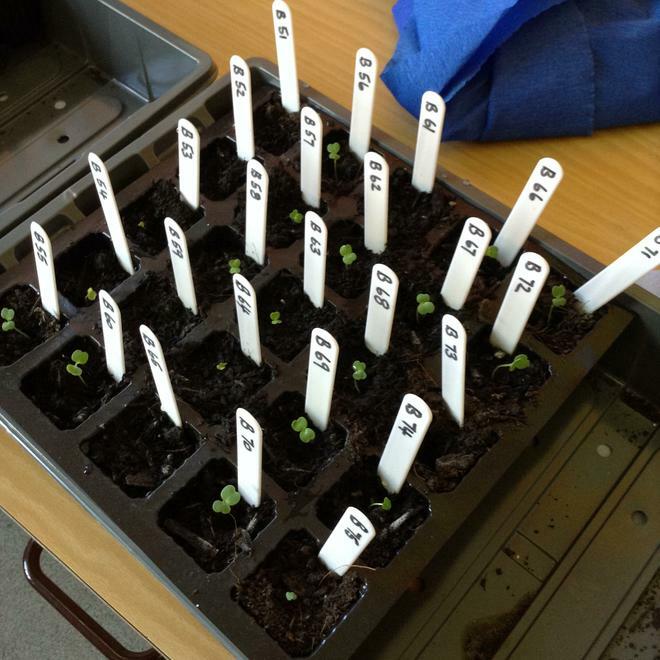 The experiment encourages young people to become space biologists and try to find out if it is possible to grow our own food on other planets, millions of miles away from Earth. 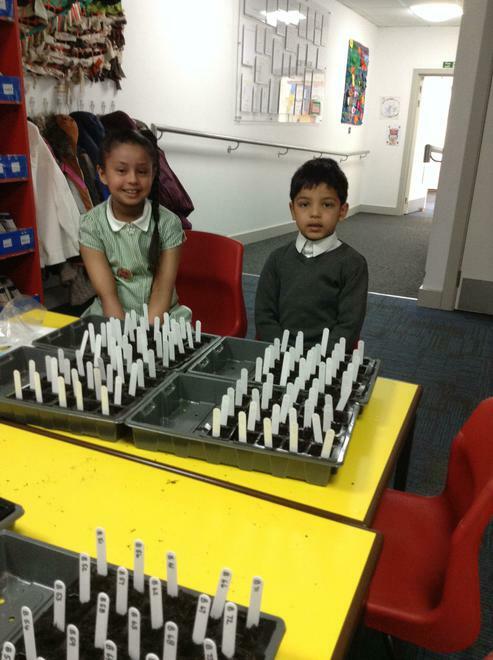 Today (Tuesday 19th April) our experiment began and we planted 200 rocket seeds. 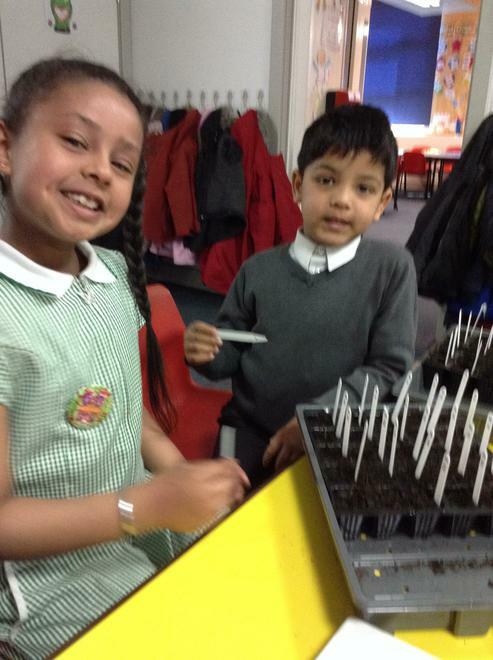 The seeds arrived in 2 packets blue and red. We have no idea which seeds have been in space. 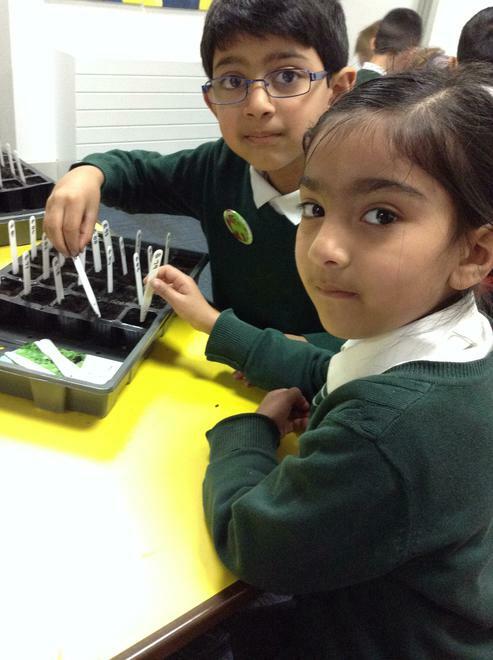 Throughout the half term we will monitor the growth of these seeds and measure and record our data. 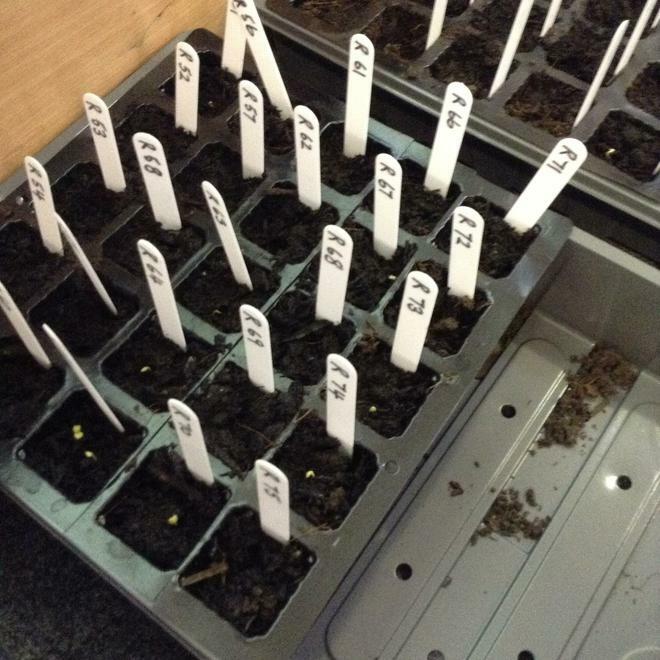 We will also make a prediction as to which colour packet of seeds was in space. In June we will submit our results and finally find out the answer. 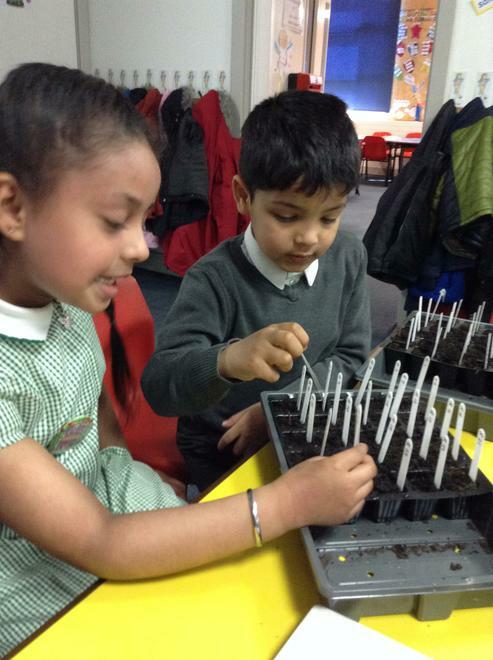 We hope that the seeds from space grow really well in our classrooms and prove that we could possibly grow our own food on another planet! Keep an eye on our latest news for updates and photos from our experiment. 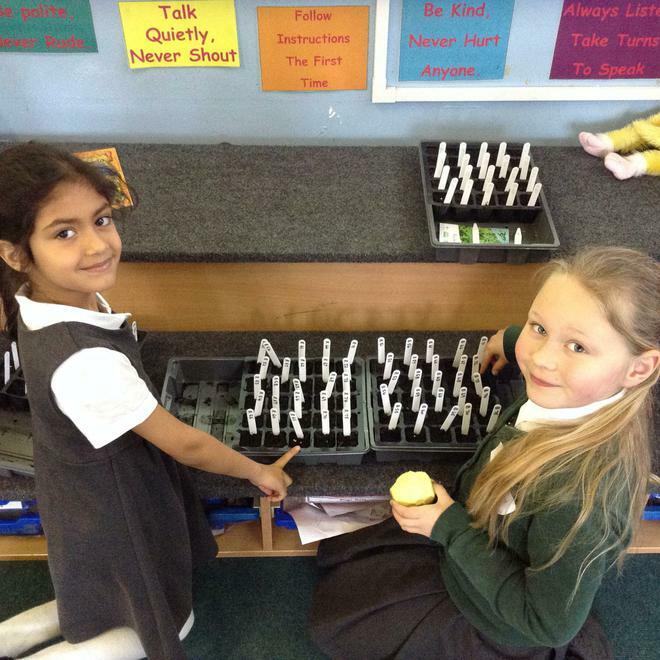 If you can't wait for our next update ask the children in 1CT and 2ST how the experiment is going. Have you made your predictions yet? WOW! 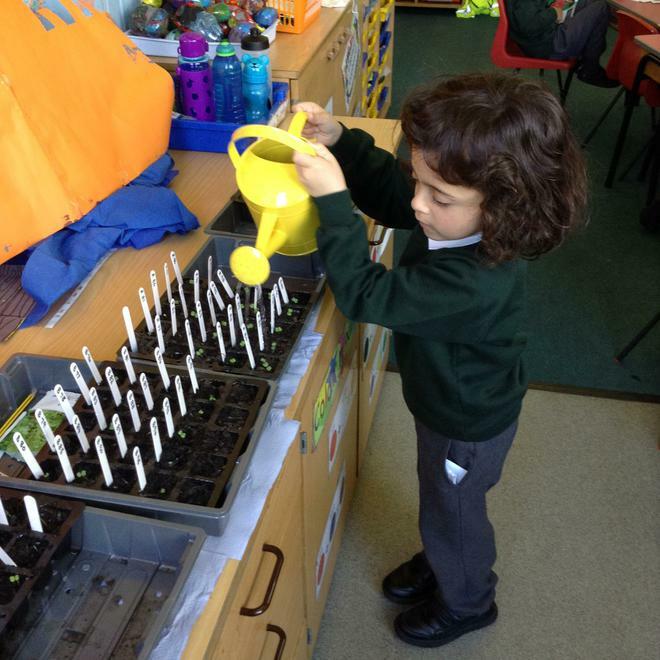 We cannot believe how quickly the seeds are growing. 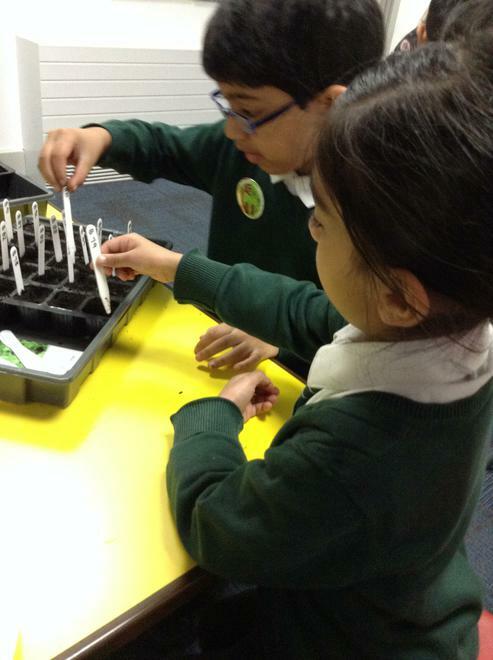 We have noticed that the red packet of seeds are growing taller and stronger than the blue seeds. I wonder what that means? 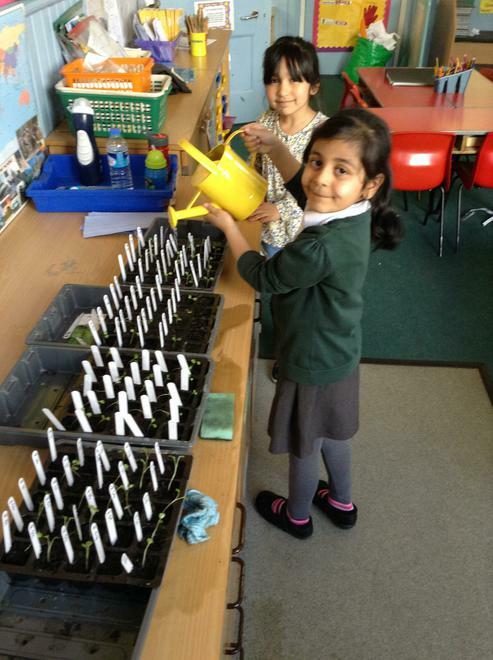 All the children are taking it in turns to look after and water our seeds regularly. Today we did our first official seed count. 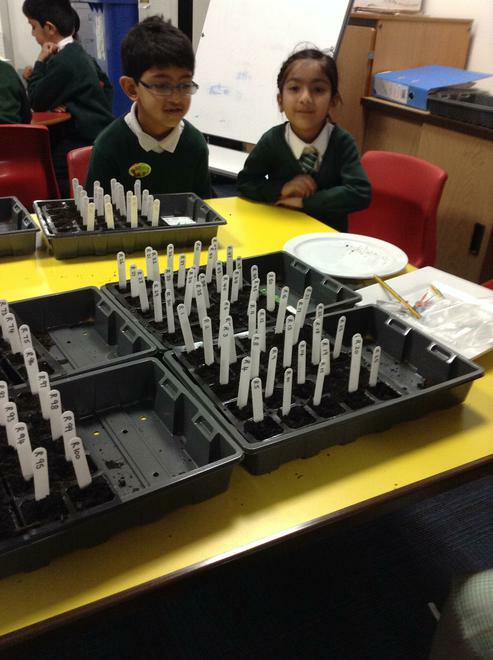 We counted all the seeds that had germinated and grown across both red and blue trays. 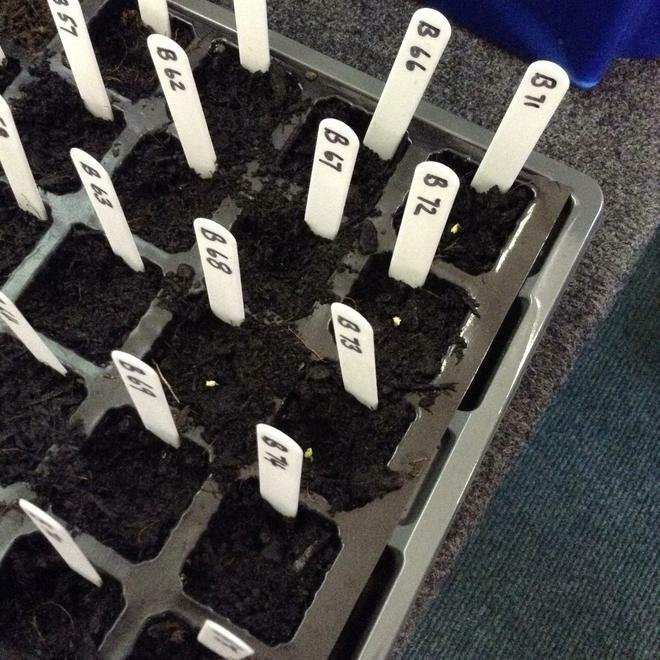 So far it seems the blue seeds are growing better and taller than the red seeds! I wonder what this means? Do you think the blue seeds are the ones from space? Or are the red seeds from space and maybe they are not growing so well because of this? 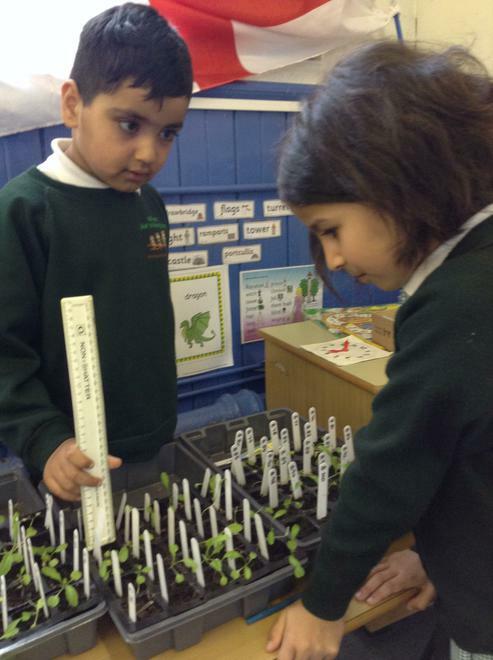 Our rocket seeds are doing very well. So far the plants are now growing secondary leaves. These are the leaves of the rocket salad leaf and they are beginning to take their shape. They are a little bit weak and can't stand up straight but they have grown a lot. Soon they will be strong enough to stand up tall on their own. 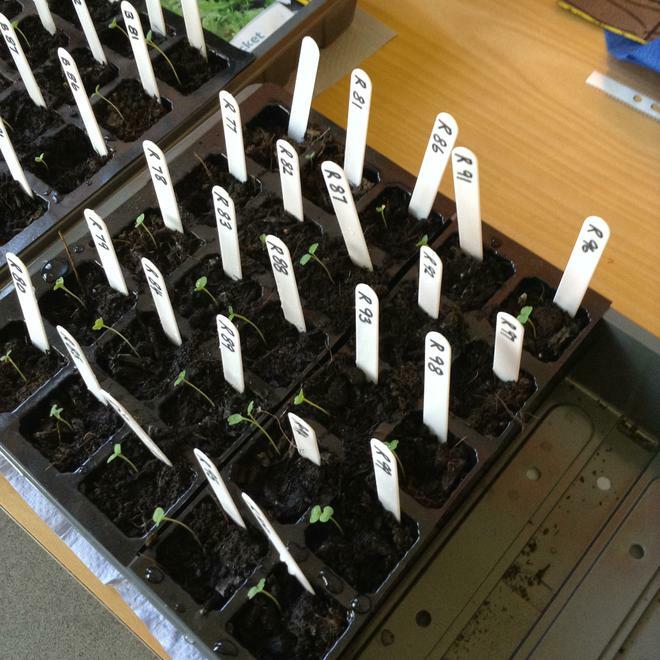 The blue seeds are still growing much better and more quickly than the red seeds! Uh Oh! 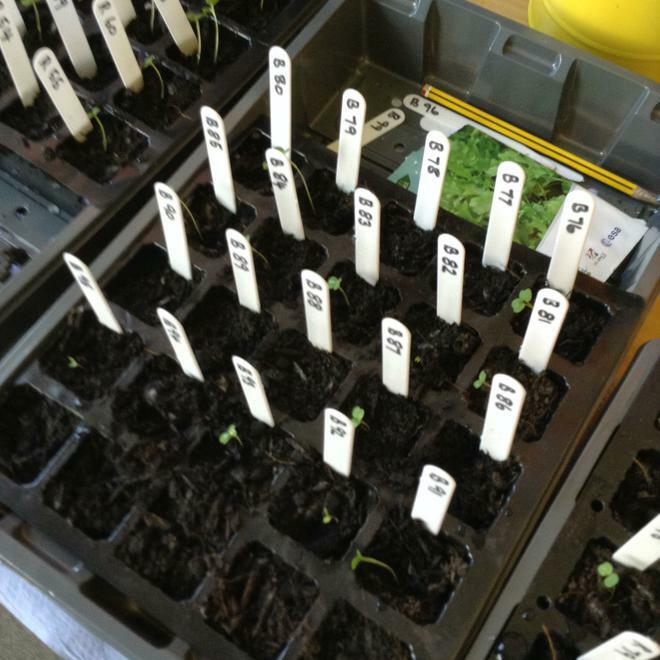 Our rocket seeds are not doing so well... Ms Taylor's haven't grown very much and Miss Tipler's are starting to go brown even though we have watered them regularly and looked after them so carefully. We still have some plants going strong but they don't look like the rocket leaves we see in the supermarket. In the last 2 weeks we have measured 2 different ways. First we counted the mean number of leaves in each box. We found the mean number was only 4! 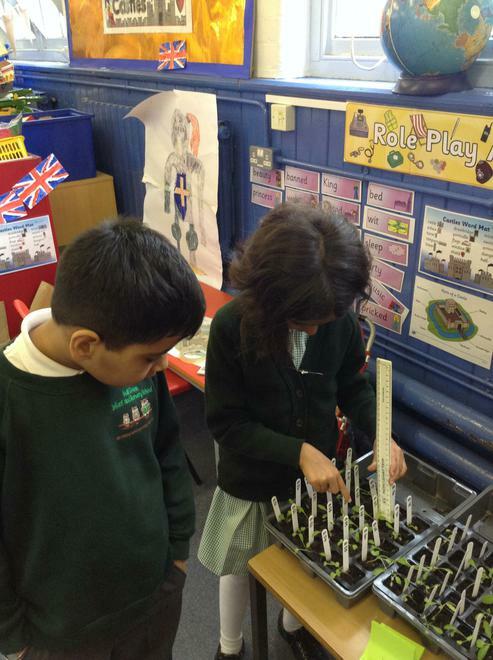 Then we have measured our tallest plants which at the tallest are 8cm. 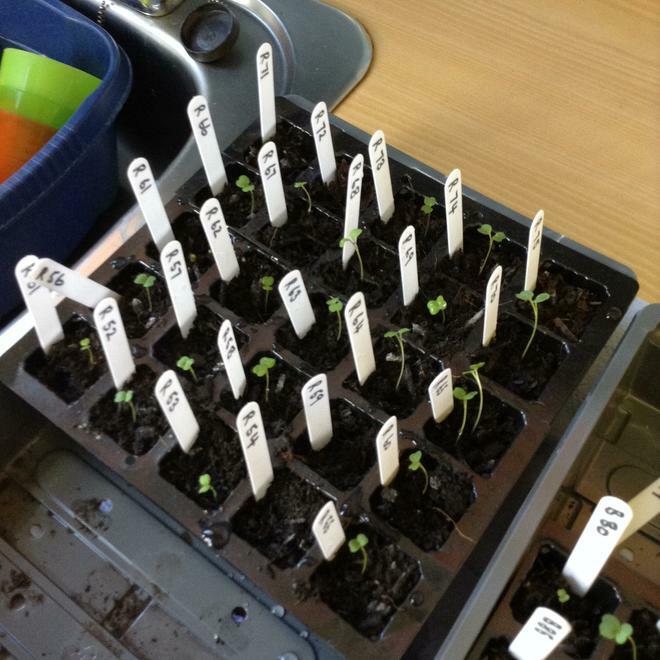 Our results are similar when comparing red and blue seeds. So far they are growing at the same rate! 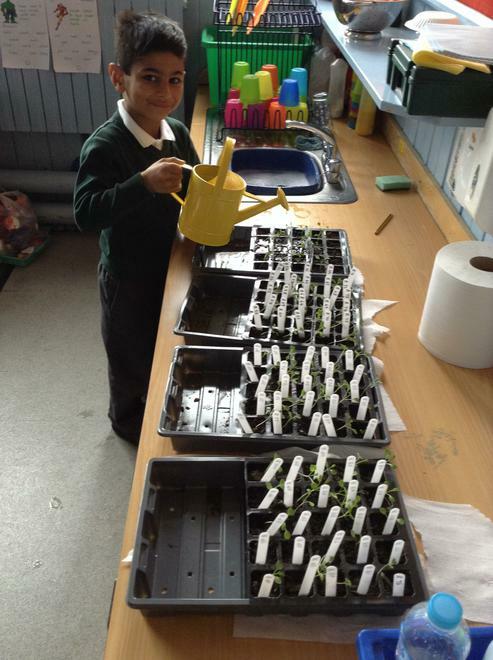 Have a look at the pictures below to see for yourselves how our rocket seeds are doing.